Toronto and Region Conservation Authority (TRCA), The W. Garfield Weston Foundation, and the City of Toronto jointly announced today a ground-breaking city-building initiative to transform 16 kilometres of under-utilized land into one of Canada’s largest urban linear parks. The Meadoway will create stronger communities through nature and build a new vision for urban greenspaces. Stretching from the Don River Ravine in downtown Toronto to Rouge National Urban Park, The Meadoway will become a vibrant expanse of urban greenspace and meadowlands as it develops over the next seven years. It will connect four ravines, 15 parks, 34 neighbourhoods, over 200 hectares (500 acres) and more than 1,000 diverse species of flora and fauna. 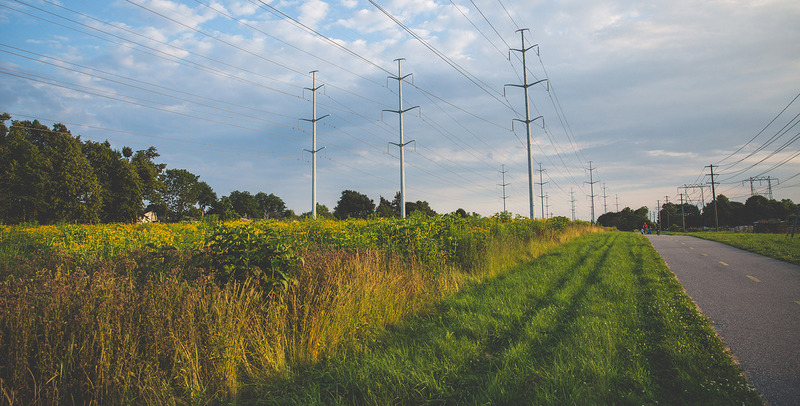 The Meadoway will connect schools, businesses, hospitals and underused parks and trails across Scarborough. Visitors and locals alike will be able to explore nature, grow their own food, go for a bike ride, birdwatch, or volunteer with their friends. The possibilities will continue to evolve and take shape through input and collaboration with community members. With a proposed total budget of $85 million, nearly 40% of that budget has been pledged to date. The W. Garfield Weston Foundation has pledged up to $25 million in support for the project as it evolves over the coming months, with a firm commitment of $10 million today. The City of Toronto has committed $6.3 million in its Capital Budget and Plan for infrastructure investments that will help to realize the shared vision for The Meadoway by supporting the trail and cycling infrastructure, and will continue its responsibilities for ongoing operations and maintenance in the corridor. 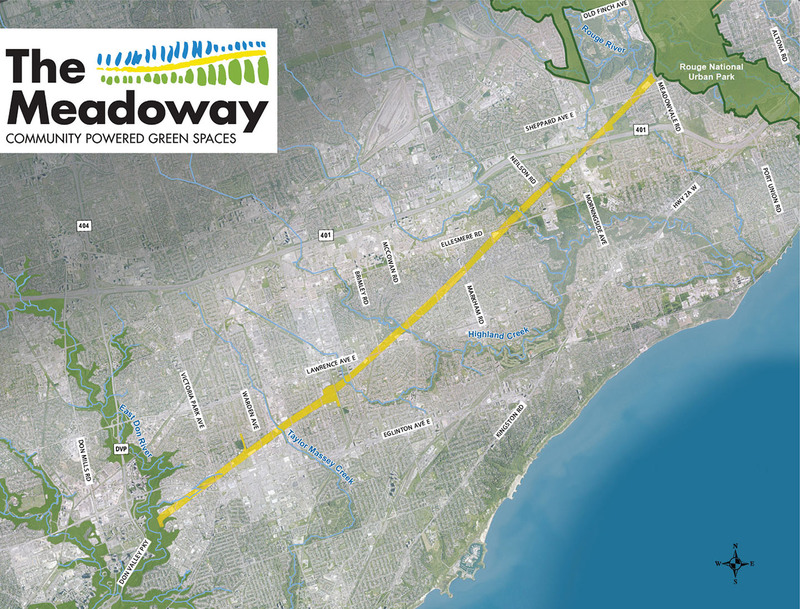 The Meadoway will provide necessary east-west connections to the well-established north-south ravine systems in Toronto, while connecting greenspaces across the east end of the GTA. The east-west connections are necessary to re-establish a connected natural system that is vital to the future of sustainable city building in the Toronto region. With a focus on inclusivity, residents from surrounding neighbourhoods are invited to make The Meadoway their own. The Living City Foundation, which builds support for the work of Toronto and Region Conservation Authority, will be launching an engagement program enabling people in the community to direct and oversee their activities in The Meadoway. Everyone is invited to learn more about the next steps for implementing The Meadoway by visiting www.themeadoway.ca and signing up on the site to receive email updates and learn about upcoming community participation opportunities.